The latest release from ITEM Software is an extraordinary collection of new capabilities that provides a customizable, cross-platform, multi-user, open frame-work. Built on proven and recognized analysis engines, ITEM QT® (iQT®) is a revolutionary approach to reliability, safety, and risk analysis software tools. With iQT, you are no longer limited by the technology choices of software vendors or chained to infrastructure requirements of their products. Continue reading to learn more about the iQT design that provides a framework to suit all of your needs. ITEM Software continues to build and deliver reliable, defensible, and innovative tools your industry requires. Over the years, we have heard from many users in a variety of industries - analysis tools need to be more open and extensible. 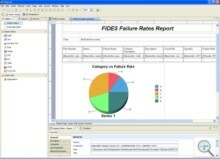 In developing this new tool, ITEM Software has taken into consideration that not every company or situation has the same requirements and capabilities. iQT delivers a customizable user interface whereby the user can develop any number of “perspectives”. These visual containers can hold a collection of views, editors, or modules available within the iQT framework. Along with any number of other perspectives, a perspective exists within the framework and, like a page within a book, is visible at any time. Arranged for different kinds of reliability, safety and risk analyses, iQT is delivered with several pre-set perspectives. Furthermore, to support the needs of the individual user or the entire organization, new perspectives can be easily created and shared with other users of iQT. To help eliminate the need to reinstall the software for new releases, an update manager is provided. This allows users to update to the latest version through online updating within iQT. Additionally, the iQT framework refrains from loading and creating models and services until it is first needed. The memory usage and startup time are dramatically reduced using this mechanism. 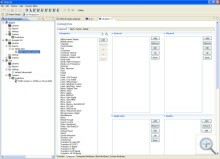 A prediction module editor is provided within the iQT framework. 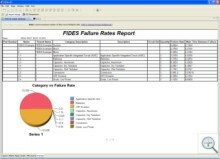 An engineer can easily create or modify an existing company prediction approach. No coding is needed. This newly created approach is automatically recognized within iQT. 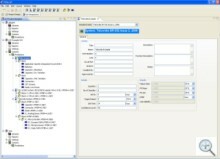 To download a free demonstration of our ITEM QT software click here.